Immerse into a dreamlike landscape of FALL as you create your own experience and let your creativity be a part of a larger, constantly expanding collaborative piece. SPIRIT OF AUTUMN is a large-scale seasonal interactive installation from ARTECHOUSE’s creative team, utilizing the state of the art projection system installed by SILA SVETA, interactive wall technology and graphic powered by A-BLOK, and interactive floor projections created by NOIRFLUX. 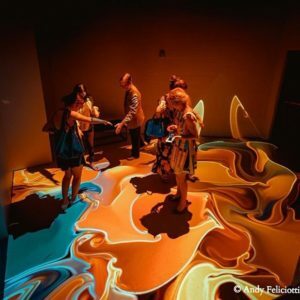 Inspiring creativity, imagination, and play, this multi-sensory experience encourages children and adults alike to engage and collaboratively transform the exhibit space into a digital fall playground. It all starts with visitors coloring in a leaf of their own on a paper, then watching it transform into a digital object and seeing their creation come to life over 270 degree wall projection. 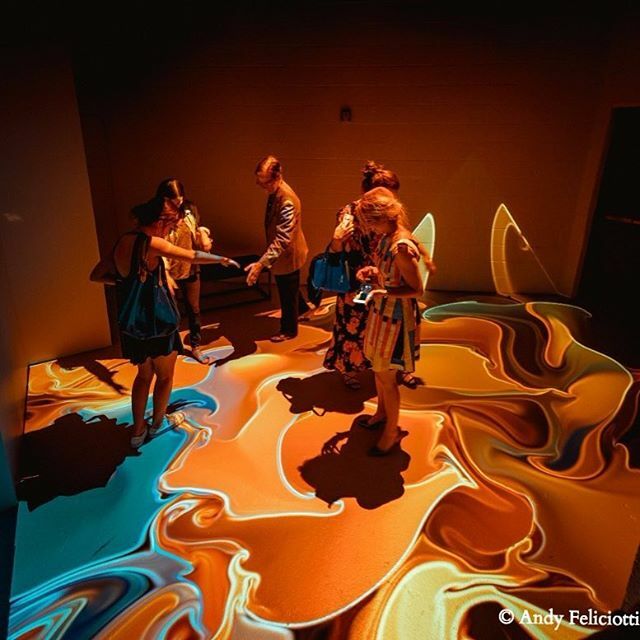 Then, as they move about smaller side galleries, they give life to a riotous forest floor in NOIRFLUX’s Through the Leaves, and in NOIRFLUX’s Autumn Dance their motion and gestures fill the gallery floor with swirling gushes of fall colors. 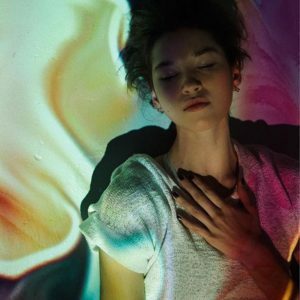 Visitors will also be able to experience the debut of ARTECHOUSE’s augmented-reality app, with visual surprises as they examine different objects within the space. In the evening, the digital autumn landscape changes with the setting sun, ushering in the nighttime.